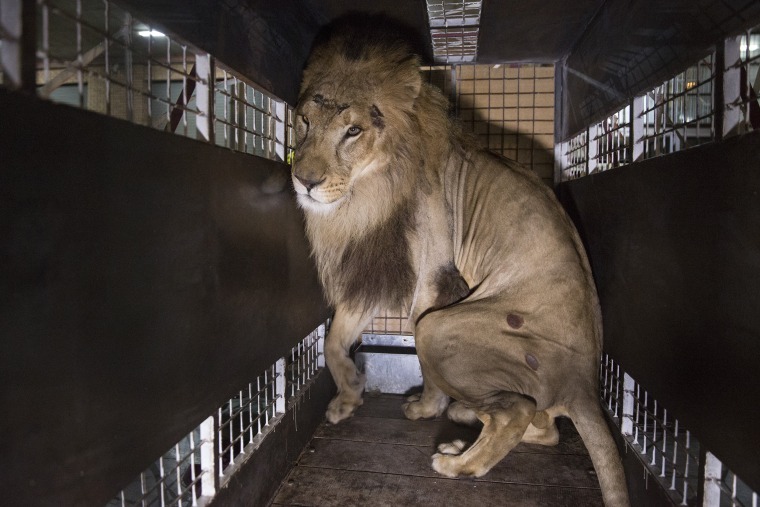 Thirty-three lions rescued from South American circuses landed in South Africa where they were released into a bush sanctuary for big cats. 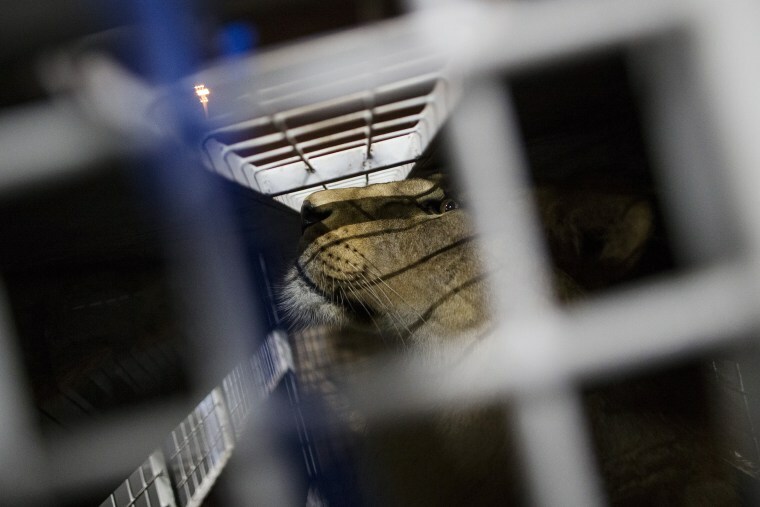 A blind lion, one that is missing an eye, and 31 others that had worked in circuses began the journey to a South African wildlife sanctuary from Lima, Peru, on Friday in what their rescuers called "the biggest transfer of animals in captivity" ever undertaken. Above: A former circus lion is seen at the El Dorado Airport in Bogota, Colombia, on April 29, 2016. 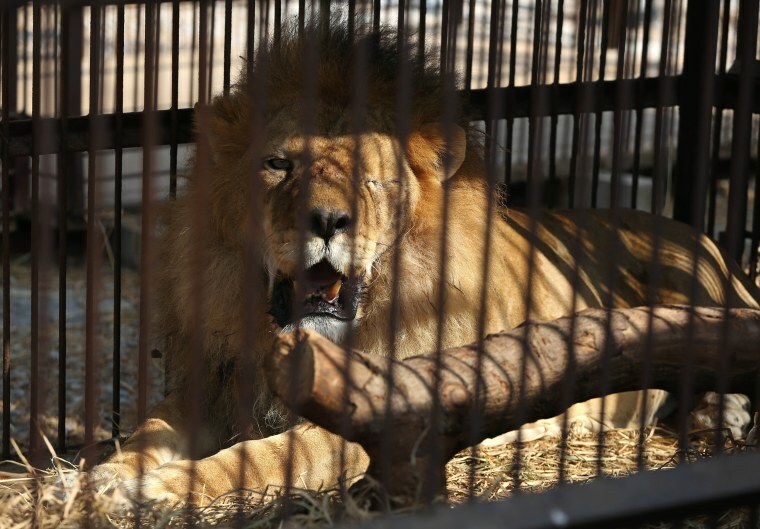 The organization said it rescued 24 of the lions in surprise raids on circuses in Peru. "Nine were voluntarily surrendered by a circus in Colombia. Almost all of the rescued lions have been mutilated to remove their claws, one has lost an eye, another is almost blind, and many have smashed and broken teeth so would not survive in the wild," the organization, Animal Defenders International, said in the statement. 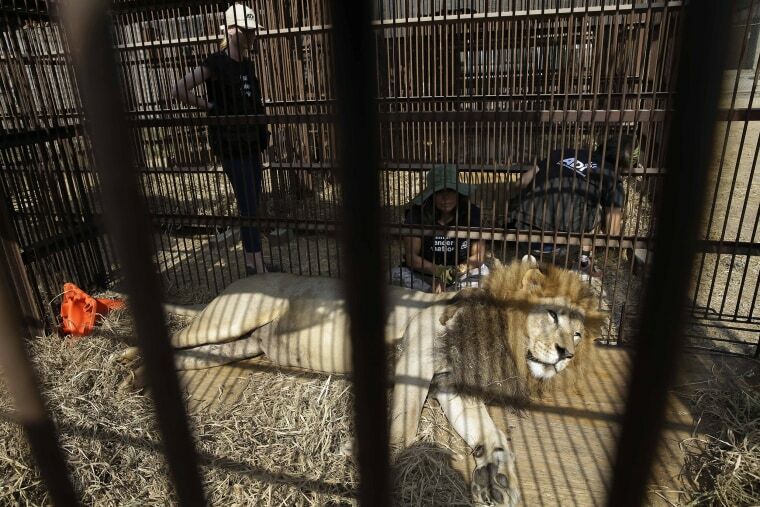 Above: A former circus lion rests in a cage on the outskirts of Lima on April 26. 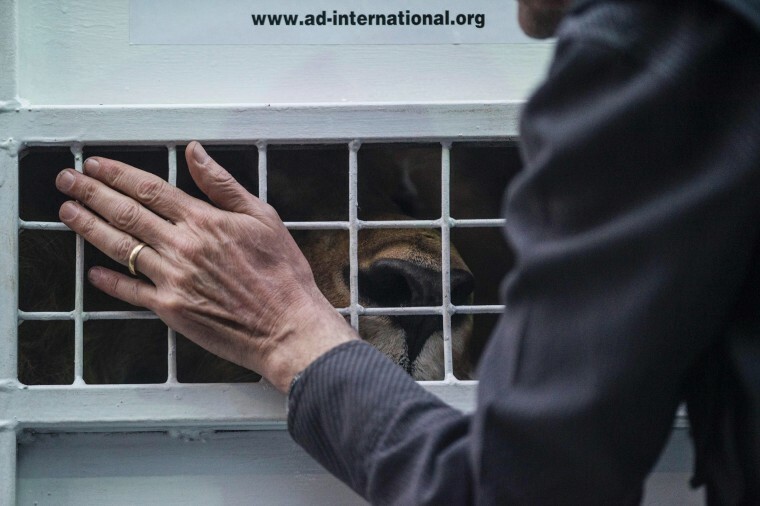 It was the largest airlift of lions in history, said Jan Creamer, president of Animal Defenders International, which carried out the operation. 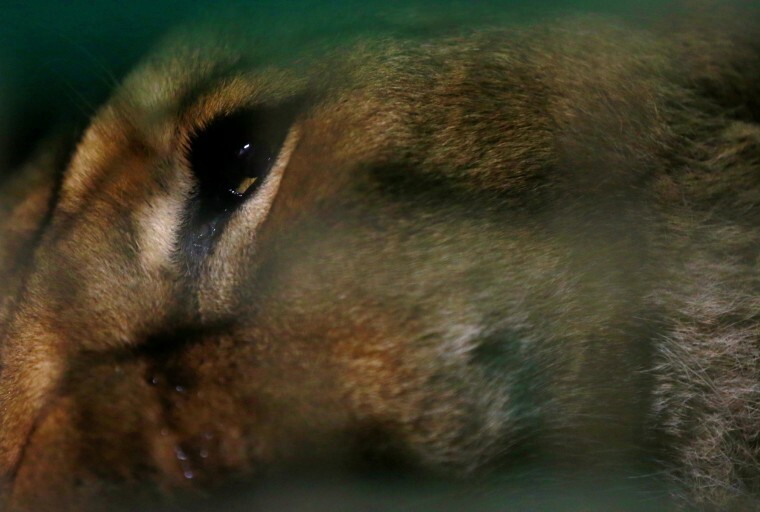 Above: African lions born in captivity in Peru are embarked for Johannesburg, South Africa, in Lima on April 29. A former circus lion who's missing an eye, rests inside a cage at a temporary refuge in the outskirts of Lima, Peru, on April 26. 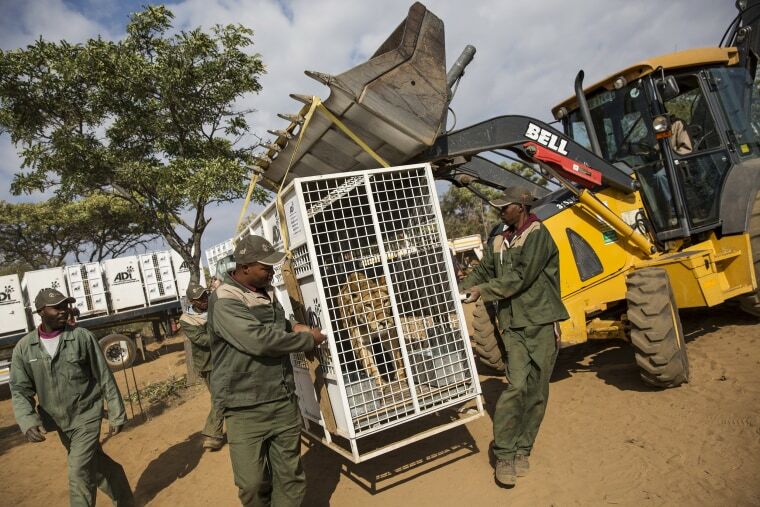 "These lion have suffered tremendously," Creamer said as the lions were loaded in crates onto trucks. "They lived in small cages on the backs of trucks for their entire lives. Some of them had their teeth bashed in with steel pipes in circuses in Colombia and Peru. Some of them had their claws removed. ... It is a wonderful feeling to bring them back to their home." Above: A crate carrying one of the rescued lions rescued is lifted onto the back of a truck before being transported to a private reserve on April 30, in Johannesburg, South Africa. 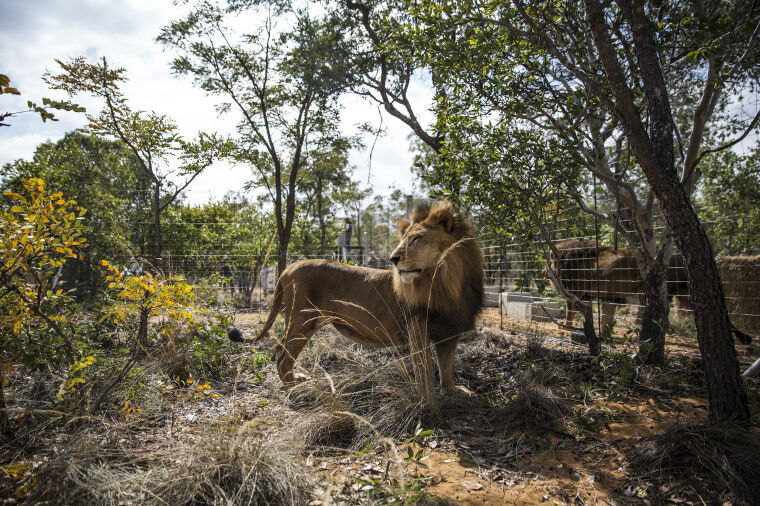 The lions will be placed in quarantine in enclosures at the 5,000-hectare (12,355-acre) Emoya Big Cat Sanctuary in Vaalwater in northern South Africa, started three years ago by a single mother and her teenage daughter. Above: A crate carrying one of the rescued lions is lifted onto the back of a truck before being transported to a private reserve on April 30 in Johannesburg. Emoya was opened in 2012. The sanctuary's first cat, a lion rescued from Cairo called Chanel, arrived in June 2013. The sanctuary is currently home to eight big cats, including two Siberian tigers. Above: One of the lions is moved, ready for release into it's new enclosure at the Emoya 'Big Cat Sanctuary' on May 1, in Vaalwater, South Africa. The 33 lions will be monitored by a vet for their first weeks in Africa. They will then be introduced to each other in a 1-hectare (2.47-acre) bonding enclosure. Many of the lions were never allowed to have direct physical contact with other lions and have never been together without a fence or a cage separating them. 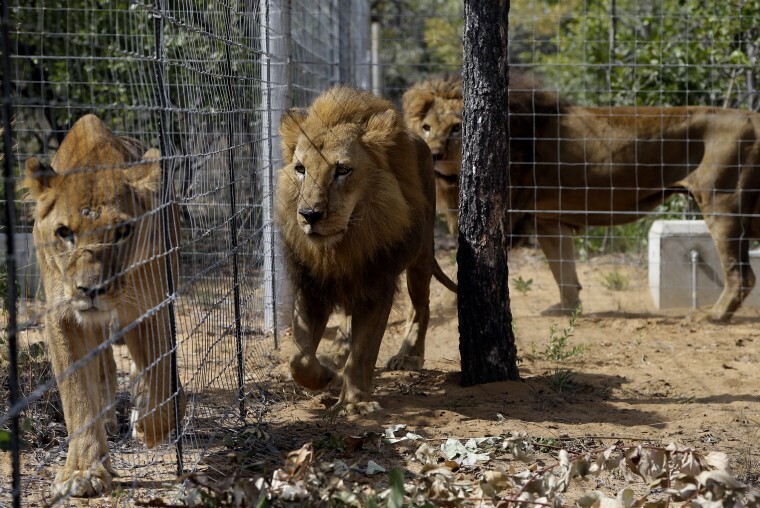 Above: Former circus lions inside an enclosure at Emoya Big Cat Sanctuary in Vaalwater, South Africa, on May 1. Due to their poor physical state, the lions will never be able to hunt again and will have to be cared for with food and water for the rest of their lives. Emoya will feed the cats with game meat which it buys in bulk. 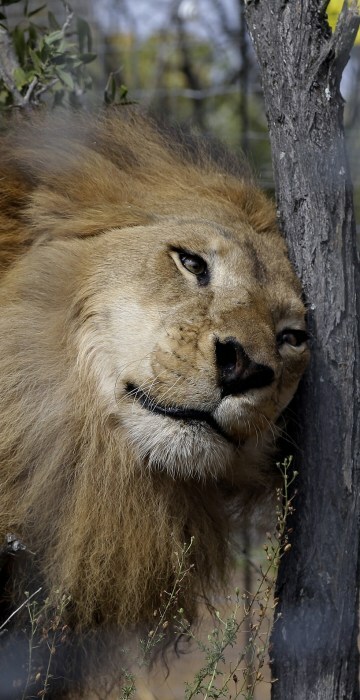 Above: A former circus lion scratches its head against a tree inside an enclosure at Emoya Big Cat Sanctuary in Vaalwater, northern, South Africa, on May 1. The enclosures will be fitted with drinking pools, platforms and toys to ensure the lions don't become bored and will be steadily expanded as they become familiar with their new life, said Savannah Heuser, who started Emoya with her mother. Emoya is located in an area with a mix of habitats including mountainous regions, rolling grasslands, forests, cliff caves and river gorges, has a strict non-breeding policy, Heuser told The Associated Press. 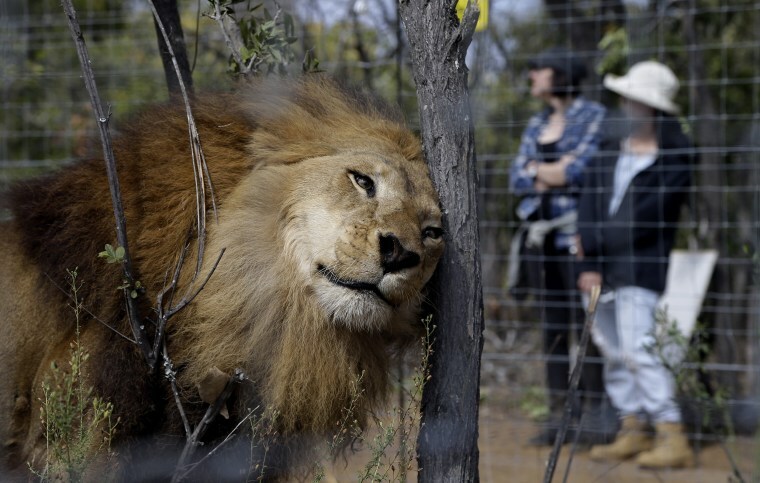 Above: One of the lions enjoys his new enclosure at the Emoya Big Cat Sanctuary, on May 1 in Vaalwater, South Africa.